So I changed the colour of my background. Purple is more me. As I am going through this blogging thing and learning, you will see changes here and there. Thank you to those of you helping me explore this side. I've always loved writing. I've been observing people on Facebook with their Direct Sales businesses. I find it interesting how some promote their products and businesses. I am not an expert by any means and still have lots to learn. I have lost count of the number of people that have sent me Facebook Friend Requests only to then push their chosen company on me. There is no "Hello, nice to meet you. How are you?" It's all "Hi! I just started such and such a business and am looking to grow my clients. You will absolutely love these products because they do such and such. 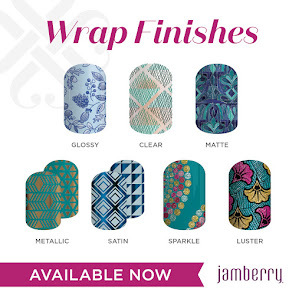 Please let me know if I can help you with your order! Here is my link so you can go online and shop for yourself." This particular instance I am referring to happened a few weeks ago. Her upline has told her that she needs to randomly contact 5 people a day on Facebook and friend them. When they accept, spam them with your business. I asked her about it and if she thinks this is going to work. She told me that her upline is high high status and achieved it this way so she will be doing the same. This person didn't even check out my profile because it clearly stated that I sell exactly what she just tried to get me to buy from her. When did we start doing this to each other? Start pushing ourselves on complete strangers to buy buy buy?!?! Will you really reap lasting benefits and a strong customer base for years to come? Probably not. It might work for the short term, but who is in business for the short term? I definitely didn't start out to just do this for the short term. The biggest thing I can honestly recommend is to NETWORK! Whether on Facebook or in person, networking is the best way for people to see who you really are. They will want to build those friendships with you. Who knows where that can lead? Maybe one of their family or friends are looking for exactly what you have to offer! Hey, maybe they will be your best client yet! Have patience. In the end it will work out better for you and that person I mentioned above will probably have fizzled out! Don't give up!!! You can do it! I have confidence in you! So True! I feel used when people do this. I'm grateful for my network and the things I have been learning about marketing the right way. What have you found to be a good approach when meeting new people?? Kylie I find that for me it will be some time before I bring it up. In person it is a little bit different. Most times a conversation starts with comments on my nails. It's even better when they ask you!